Pekoms reports that he captuted Sunny. 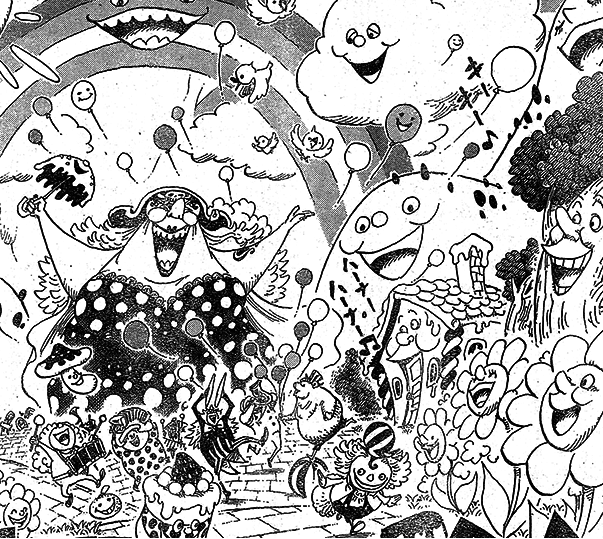 He tells someone to keep it a secret since he wants to surprise Big Mom that he has many sweets as a gift for her. Pudding is an owner of a coffee shop. 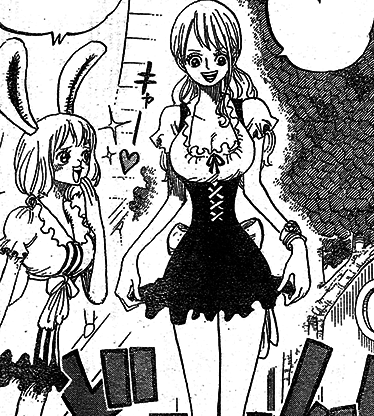 She helps Straw Hats, who were about to be captured. Big Mom pirates are preparing for Tea Party. They've already noticed Straw Hats' landing.